Man, oh man, last week was CRAZY! I hope everyone made it through the bomb cyclone storm. I was hoping to write about this sooner but, like many of you, that storm took me away from work for a good few days. However, I wanted to talk about the recent Sellstate Rocky Mountain Regional Summit. For those of you that don’t know me just yet, my name is Ricky Segarra and I am a recent addition to the SSA Family, yes, I said FAMILY. I want to emphasize the word family because, the summit showed me just how close each SSA’er is with each other. Whether your located in Colorado Springs, Denver, Loveland, or anywhere for that matter, every attendee that day showed me an enormous amount of support and comradery. I formed great relationships with people that are outside of our current office and even gained creditable leads from outlying agents that are looking to pass on clients that are interested in moving down to the springs. I got a chance to further my relationships with current agents in our office along with form new relationships. Each keynote speaker, Brian Icenhower and John Marrone, left me hungry for wanting more out of my business and my personal life. Getting a chance to watch, listen, and learn from Brian Icenhower left me in a production mind frame that has me thinking differently on how to bring in business and allowing my Real Estate business to flourish. Brian Icenhower taught on subjects like holding open houses, farming, customer service, marking, customers motivations, and even gave away signed copies of his book. I personally became a “groupie” of Mr. Icenhower himself for simply his outgoing and kind personality, the teachings that followed were something that I hope all of you get a chance to experience. Once the teachings of the great Icenhower had left stage Mr. John Marrone hit the crowd with an inspiring life story of life’s struggles to finding happiness within yourself and your business. He showed how resilience and an extreme passion of success can forever change your life for the better. John Marrone shared an inspiring story that connected and resonated with what looked like most of the attendees. He not only showed us an inspirational journey, but he taught how each one of us can find happiness, confidence and the strength, to break through any obstacles in our lives. Again, I am new addition to the office, and I wanted to share my experience with each of you so this time next year you might consider attending this event. I learned an enormous amount within just a few hours and for just a little amount of money compared to what this event has to offer. I would like to take a minute to thank and acknowledge all the fabulous people in our office specifically that had direct impact on me during the event. Carrie Lukins, thank you for working as hard as you do to bring the continues education and people such as John Marrone into our lives to help us reach our maximum potential. Also, Congratulations on bringing home the diamond award! Tom Lazzaro, Congratulation to you also for bringing home the diamond award AND the top producer award. Thank you for being such a willing individual to help me out in the beginning stages of my career with your insightful outlook on the market and a personable demeaner. Preston B Smith, Congratulations on bringing home the Bronze Award. Thank you taking the time to help tech me and showing me the ropes, you are one hell of a great guy. Darren Bryce, Congratulations to you for bring home the Silver Award and thank you, literally I would not be here if it wasn’t for you. You always have an openness of life story to tell and I enjoy listening to every one of them. Tiffany Bottinelli, Congratulations on bringing home the gold award. Thank you for the enormous amount of help you are giving me right now in allowing me to be part my first ever Real Estate transaction. 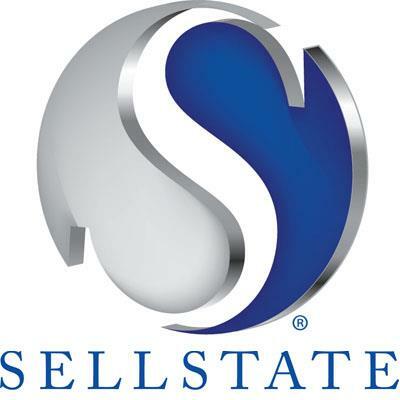 Randy Boaz, Krista Fowler, Jenelle Meyer, Heather Reis, Bridgette Smith, Pat Thrasher, Dee Whitaker, Dominic Dasilva, and any others that I may have forgotten, thank you for making my first Sellstate Rocky Mountain Regional Summit one to remember. I’m already looking forward to next year’s summit and I hope I see you there! I have attended the Rocky Mountain Summit 3 years in a row now. Each time has been a great experience. The speakers come ready to teach and gaining hands on information that I can actually take and use in my business has been priceless. I enjoy celebrating with all the award winners and taking the energy and experience of these great agents back with me and using it to grown my own business.